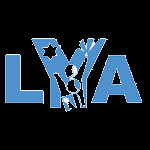 It is with great pride that LYA acknowledges that in the past 20 years, with our latest trip, we have organized Israel Experiences for 154 students. What a milestone for our school in Western MA. We also would to thank our wonderful parents for entrusting us with their children and assisting in all of the fundraising. A trip of this magnitude occurs with the support of YOU our community. Thank you for all the honey, car wash tickets, slices of pizza, baked goods and wine that you purchased. Every purchase assisted us in reaching our fundraising goals. While we are in Israel we are ambassadors for our amazing community. From the moment we arrive in the airport to touring Israel, people stop and speak to us. They see Longmeadow, MA on our sweatshirts and ask questions about our community. Most often when they hear the demographics, they are inspired by the fact that our community brings students to Israel every other year. This is a testimony to the connection our community has with Israel. While we are in Israel we will be blogging. Our trip of a lifetime will begin G-d willing, Feb. 10. Please check in and read our blog and comment!!! We want to hear from you as we take you our community family to Israel with us!! Looking very much forward to bringing the students on this trip. The most amazing part of the trip is...watching the students grow in confidence, in knowledge, and in independence. As we learn about the Land of Israel, as we learn about Jewish history, as we learn about Hashem's guiding Hand, we also learn about ourselves, and how we are a link in a chain that goes back almost 4,000 years! I am eager to see how each of the students rises to the occasion. Safe travels to the students, teachers, and chaperones. We look forward to seeing highlights of this marvelous experience.